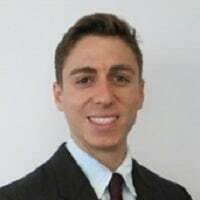 Lane Goodman is a communications associate for the Center for Health Market Innovations (CHMI) at the Results for Development Institute (R4D). Prior to joining R4D, Lane served as a public health educator in Guinea with the Peace Corps, where he worked in malaria prevention and reproductive health education. His previous experience includes teaching photography and English in Andhra Pradesh, India, and leading environmental education sails on the Hudson River. The Center for Health Market Innovations' annual review of its program database, featuring more than 1,500 programs working in 130 countries, reveals new research and innovative solutions emerging from the private sector – particularly in the areas of adolescent care, disaster response, the co-creation of solutions and reported results. The Center for Health Market Innovations has released its annual report, "Highlights: Findings From 2014," which identifies health care programs and policies, documents and analyzes promising practices, and spotlights programs with potential for scale up and adaptation within and across borders. With so many apps and intervention techniques available in the private and public sectors, there is now more than ever a greater focus on these applications’ abilities to integrate and work as a system. When multiple structures are integrated into a single comprehensive design, governments can plan health systems that connect electronic and mobile interventions.